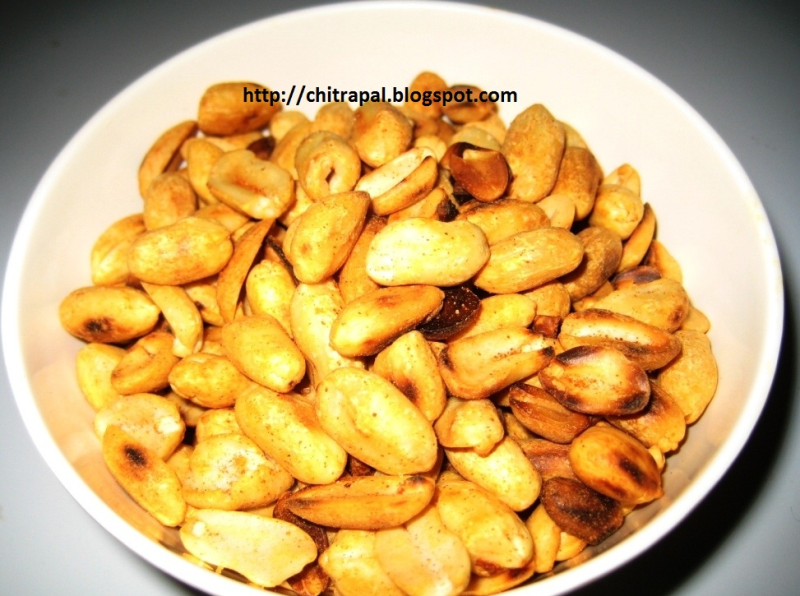 In a plastic bag or a brown bag (you can use same bag in which peanuts were packed) add salt, chaat masala, sugar and red chili powder. Now put the warm peanuts and 1 tsp of oil in the same plastic bag or a brown bag. Shake it well until the mixture is sticky with peanuts. Serve these as a snack with tea, coffee or cocktail. Some elephant must have given a vote to you!! !